ITW 19 – WOLOLO IS FUN TO SAY! This week Nate and Craig sit down with a game designer name Wololo. He recently took his brew “Breakfast Paladin” to high legend. 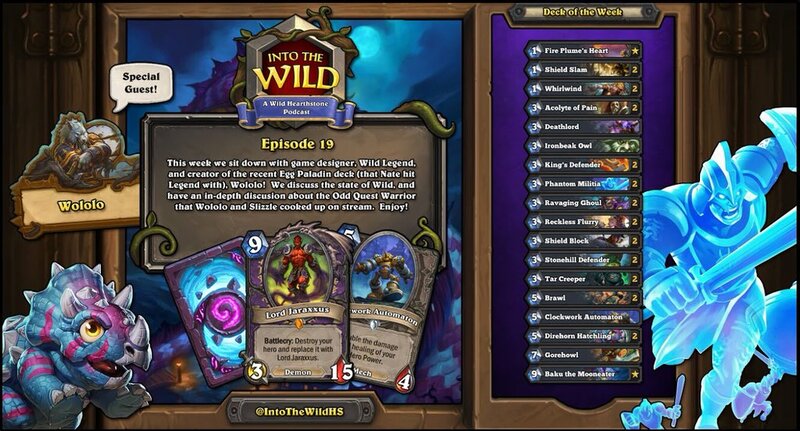 We discuss the state of wild and go in depth on odd quest warrior. Sit back and enjoy, NOW LET’S GET WILD!